Cool! We got Admin, now what? First off, please do not throw a tomato at me since this is not the typical Windows binary exploit article that is posted on Corelan! During a recent a penetration test, I encountered a host running Zabbix, an agent based monitoring application. Although I was unfamiliar with the product at the time, I decided to focus my efforts trying to exploit the application. While poking around I was able to find SQL Injection through one of the frontend pages. I was then able to get code execution using the built-in server functionality. Further, I was able to get code execution on all the agents the server controlled! I thought this would be an interesting article, so I decided to share. 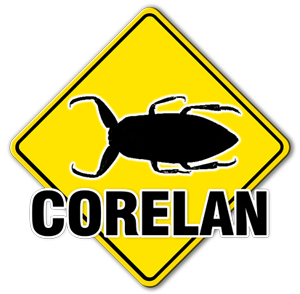 Corelan would like to thank the Zabbix development team for being very responsive and quick to fix the issue. Zabbix is an open source, agent-based, monitoring and alert application used to correlate data from a wide range of clients. It’s written in PHP and supports commonly user SQL databases like MySQL, PostgreSQL, and Orcale. This particular vulnerability affects the httpmon.php script which, by default, is accessible via an unauthenticated session. This is due in part, to the fact that Zabbix comes preconfigured with a “guest” user account which is permitted “Zabbix user” level permissions. With this, any unauthenticated request to a resource that is accessible with “Zabbix user” permissions, the session ID of that request will automatically be associated with the “guest” user, effectively authenticating that user as “guest”. If the “guest” account has been disabled, valid account credentials will be required in order to trigger this vulnerability. In case you’re wondering, you can disable the guest account from the admin panel. Looking at the screenshot below, we can see here that the applications parameter is susceptible to SQL Injection due to the lack of input validation applied to the “applications” parameter. By inserting a single quote (‘), the intended SQL query is escaped, throwing an exception error from the MySQL database server. To determine the cause of this issue, we can follow the code path from the point in which the GET parameter is parsed. Looking at the add2favorites function, we can see that $application variable is now referenced as $favid, which in turn is inserted into the $values array. The $values array is then used as part of an in-line SQL query. Looking at the code sample below, we can again see that no sanitization of our data has been performed prior to passing it as part of our SQL query. Generally at this time I am firing up sqlmap and doing my happy dance! Great! With this we can crack the md5 password and login as Admin! However, what if the password takes too long to crack and the user created a complex password? It was discovered during the assessment that the session identification (sid) for all users, including Admin, is stored in the Zabbix database in the sessions table. They appear to never be discarded unless specified by the Administrator (Auto-Logout which is disabled by default). The following is a screen shot of the Zabbix server displaying the values for the table sessions. The query is looking for the Admin session id’s, which is user id 1. Status 0 will indicate an active session IDs not in use. It is possible to reuse one of these sessions id’s, and bypass authentication, without knowing the Admin password. The same SQL injection technique used before can extract a valid session ID from the database. It is then possible to replace the existing session ID in the cookie field with the one extracted to elevate the browser session with Administrative privileges. One of Zabbix’s built-in features allow user’s to execute scripts on the server and agents it controls for monitoring purposes. We can leverage this built-in functionality in order to further our attack. As we already have administrator permissions, we can deploy a script that will execute on the underlying operating system and since nearly every modern Linux distribution comes preconfigured with either Perl or Python (or both), we can abuse this in order to trigger a reverse shell from our target host back to us. Executing the following Python script from @pentestmonkey, will provide us with a remote command shell. Now the question is, how do we trigger the script we saved on the server? The value is the number of scripts stored in scripts table in the database. This can be guessed, or enumerated with SQL injection. The default number of scripts in Zabbix is 3, so the next one would be 4. The value of host id can be found in the interface table in the database. This can be guessed, or enumerated with SQL injection. 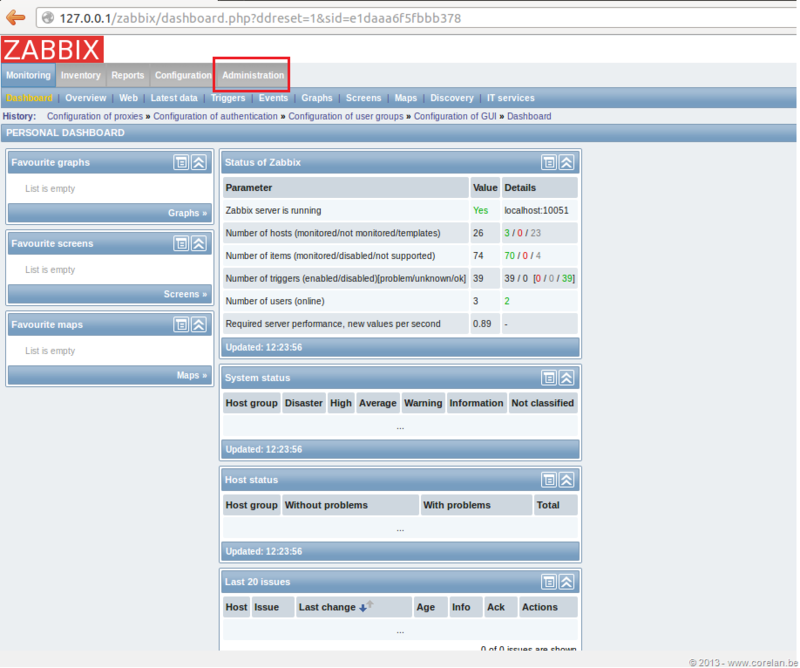 The default value of the Zabbix server (127.0.0.1) is 10084. Woot! So we were able to get code execution through extracting the Administrator session ID and then creating our own script to give us a remote shell. 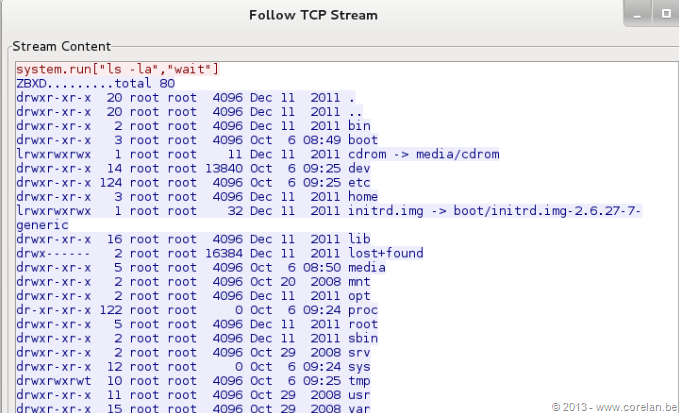 Pyoor, a team member of Corelan, was nice enough to put everything together in a Metasploit module. It was also discovered that it is possible through the scripts functionality in Zabbix to execute the same commands on all agents associated with the Zabbix server. 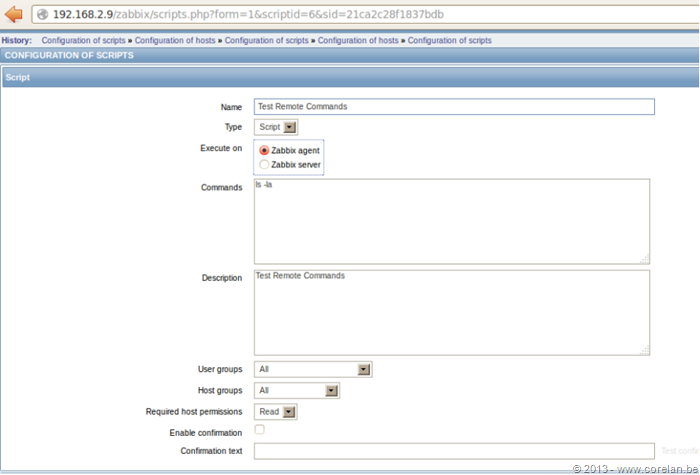 The one condition is they have to have the following configuration parameter turned on, which is off by default. However, it is not unusual for system administrators to enable the remote commands option in the agents. Lets go ahead through the theory. First we would need to extract the agent from the interface table. We can see that we have an agent running on IP 192.168.2.9 with a hostid of 10085. Next we will create a sample script to see if remote commands is enabled. This is actually very easy to test since the server command and agent response is sent in clear text. © 2013, Corelan Team (Lincoln). All rights reserved.